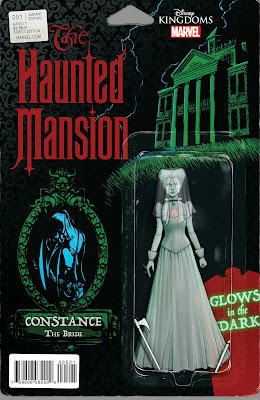 For Disney Kingdoms it all started Haunted Mansion adjacent with Disney Kingdoms Seekers of the Weird. 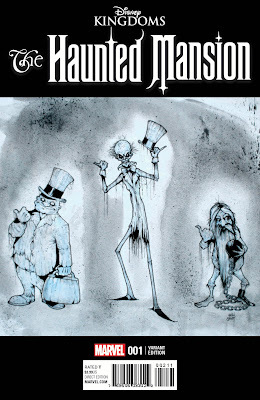 So it is only fitting that we officially go into the mansion with Disney Parks’ and Marvel’s latest installment in the line, The Haunted Mansion. But will going through the doors live up to expectations for Disney Parks fans. Danny seems to be a good kid. He loves his Grandpa and sending time with him. But despite their bond they are two different sorts of souls. Grandpa is an adventurer. Danny is a coward! 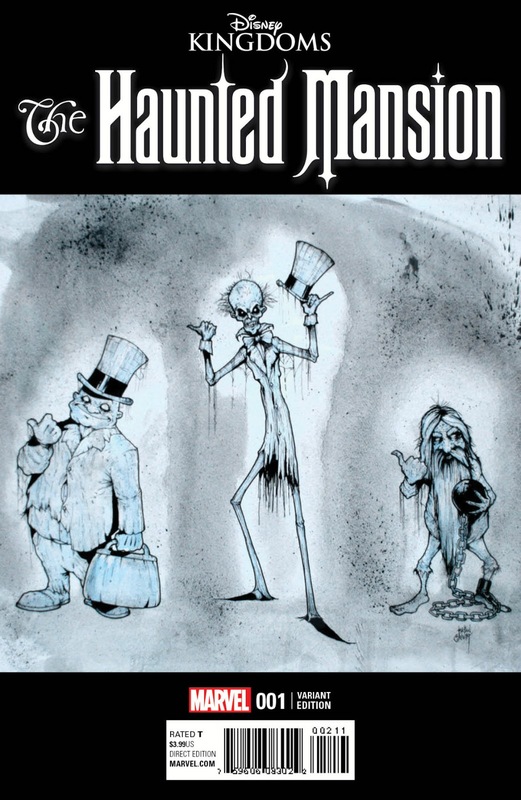 Danny and his Grandpa talked about going into the local Haunted Mansion someday, but a mishap kept Grandpa from entering the mansion in a physical way. 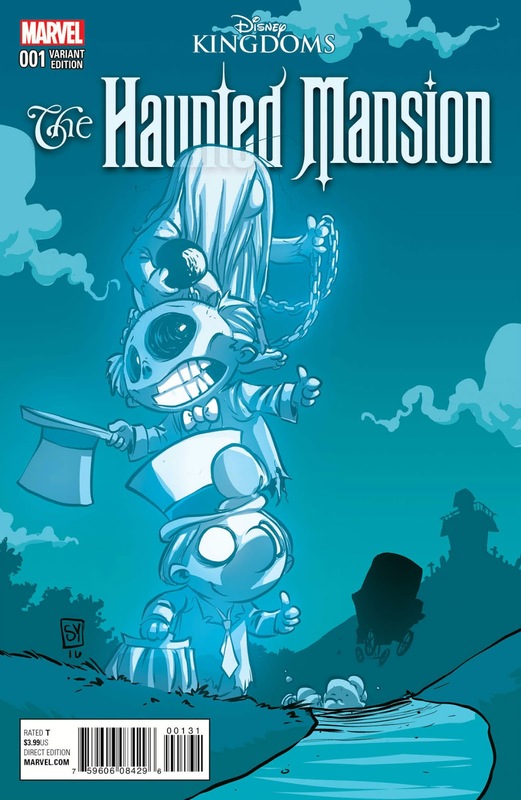 So Danny is shocked when he is summoned by the spirits of the mansion to save them and his grandfather. 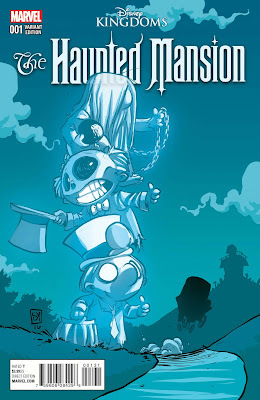 Will Danny have the courage to meet and fight for the 999 spirits of the Haunted Mansion? 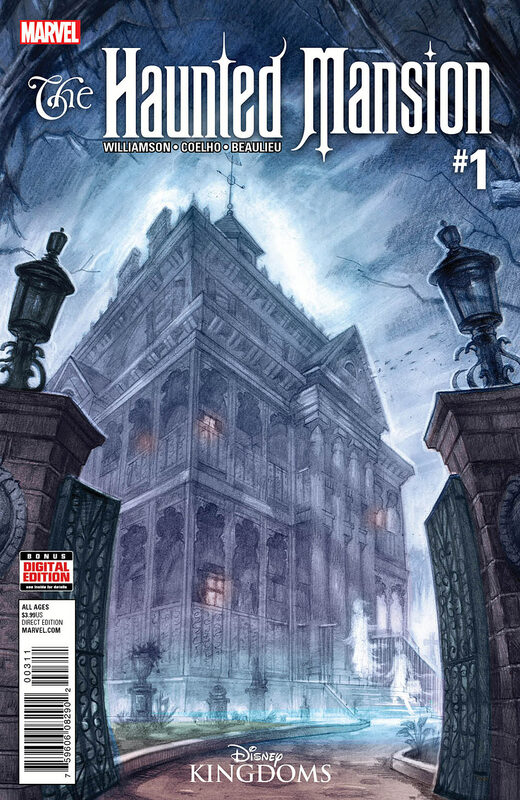 I would say overall that author Joshua Williamson and artist Jorge Coelho provide the reader what they expect. They offer a story that provides the right visuals to the Disney fan who bought the issue because of the parks connection. 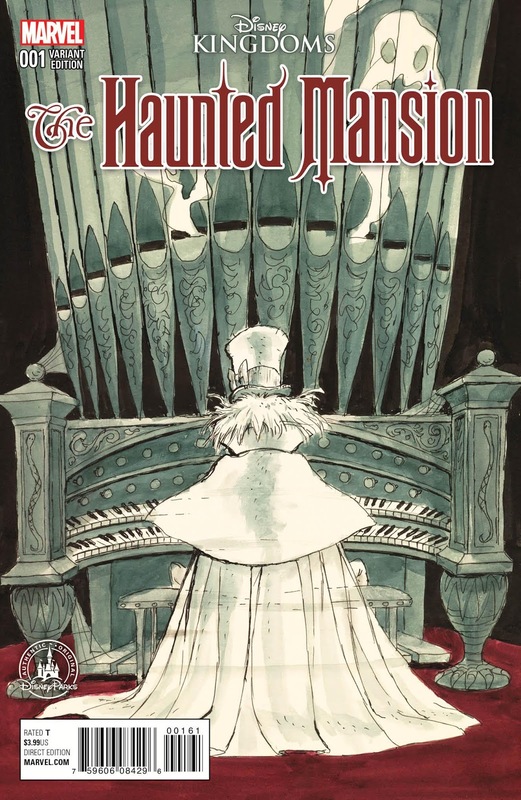 And the story itself is a fine all-ages story, maybe not up to the level of Figment but entertaining for me and the Between Kid. With the first issue premiering at 66 in the sales chart, it does feel like the title is preforming where a #1 in this line should be. I will say story wise with Danny as our main character, other than Dreamfinder this could really be our first boy led story, since the Seeker’s tale was siblings. 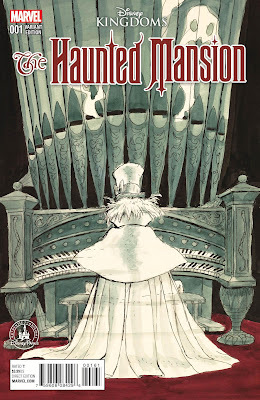 Haunted Mansion #1 led me to want to read more. And that is really all you can ask from a first issue. In fact, I am traditionally really hard on first issues but I found this one interesting. I look forward to Danny’s story and my expectation that he will become braver!